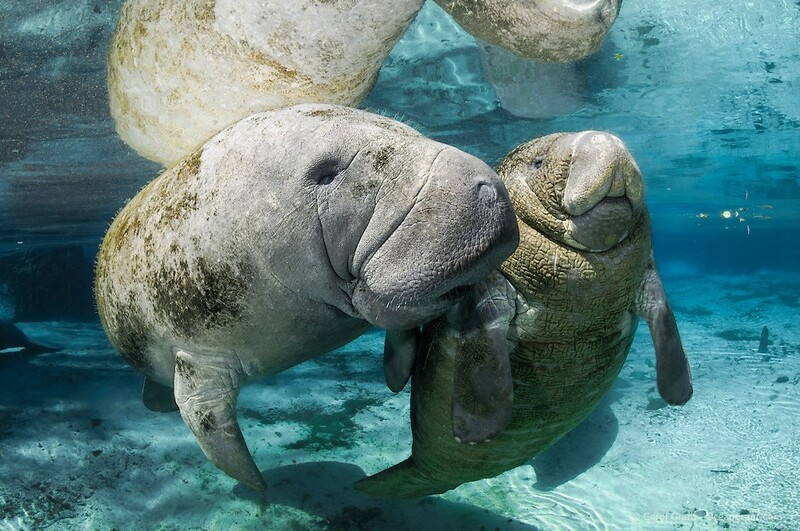 When Christopher Columbus set out to sea in 1492, he had a mermaid sighting of his own; little did he know that this encounter was actually the first written record of manatees in North America. It might seem strange to confuse a slow-moving, blubbery sea cow with a beautiful, fish-tailed maiden. Yet it’s a common enough mistake that the scientific name for manatees and dugongs is Sirenia, a name reminiscent of mythical mermaids. Even today there are false mermaid sightings. While mermaids hold much of our attention and affection, their real-life doubles are left struggling in the sea. Manatees are easily injured or killed due to their large size and generally slow pace, which makes them vulnerable to being hit by motorboats and caught in fishing nets. Don’t miss out on your chance to see one of these gentle giants on our Florida Springs trip February 9-12, 2018.